In this short interview, Josh Brown, Market Product Manager of the Infrastructure Group, shares some of the benefits of using a vibrating-wire data logger, such as the CRVW3 3-Channel Vibrating-Wire Datalogger. Josh was interviewed by Robin Deissinger, the blog editor. What is a vibrating-wire data logger used for? You might not know this, but vibrating-wire sensor technology has been around since 1899. Since then, the use and application of vibrating-wire sensors has grown significantly. Today, these sensors are recognized as an industry standard in dam and levee monitoring, geotechnical monitoring, and structural health monitoring. 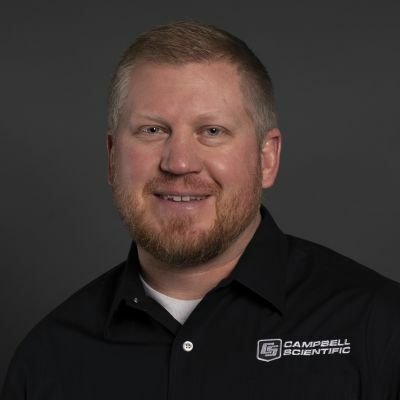 Campbell Scientific is committed to helping these industries be successful by obtaining the best vibrating-wire measurement possible. So, what did we do? We designed vibrating-wire data loggers that use our patented VSPECT™ measurement technology, multiple communication options, and multiple form factors. One example of a Campbell Scientific vibrating-wire data logger is the CRVW3. We built the CRVW3 with our dam and levee monitoring customers in mind. But really, the measurement reliability and the breadth of vibrating-wire technology make it suitable for many different applications where you need geotechnical measurements. What makes you excited about the CRVW3? There are a lot of reasons to be excited about the CRVW3. The CRVW3 is a complete package in a rugged design. Plus, it’s easy to deploy. This makes it ideal for simple installations where you expect harsh conditions. The CRVW3 is also suitable in situations where your personnel have limited time onsite or they have minimal experience with instrumentation. With a CRVW3, you can expand your data acquisition network without having to do extensive site work. For example, by using the CRVW3 you are able to decrease trenching efforts by locating the data acquisition system closer to the measurement locations, and you don’t have to install expensive communication or power infrastructure. Because it’s a three-channel data logger, the CRVW3 gives you adequate measurement density, while minimizing your overall equipment needs and cost. 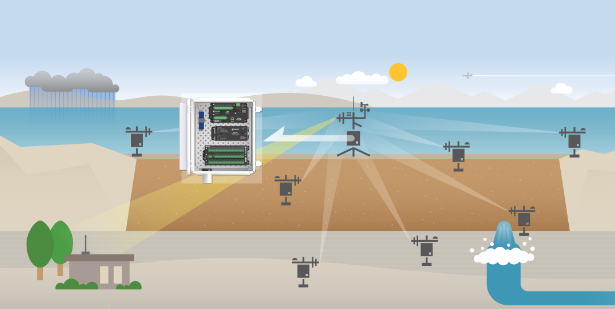 Using the CRVW3 built-in radio, you communicate wirelessly within your monitoring network. This helps you minimize the potential for widespread damage—for example, caused by electrical surges or lighting strikes. We really hope users around the world will take advantage of the CRVW3’s design for their vibrating-wire measurements. Like all of our products, this data logger is backed by the Campbell Scientific reputation for measurement quality. How is the CRVW3 different from other products? Earlier, I mentioned VSPECT. This is patented VSPECT™ measurement technology that our vibrating-wire data loggers use. VSPECT technology uses spectral analysis techniques to filter noise caused by things like transmission lines, generators, pumps, long cable lengths, and degraded sensor signals. To further eliminate measurement noise, you can configure the CRVW3 to only “listen” to the specified frequency range of the sensors. The CRVW3 also uses our PakBus communication protocol, so you can easily add it to your network of Campbell Scientific products. After you configure a CRVW3, it will auto-discover within a network of other CRVW3s or to an aggregator station onsite. This auto-discovery feature enables a monitoring network to self-heal when you add or remove measurement nodes, or even when other nodes lose communication with the network. Additionally, each CRVW3 stores its own data in the event that communication with the aggregator station or remote data collection sites is lost or interrupted. How do you use the CRVW3 with other Campbell Scientific products? You can use the CRVW3 as a stand-alone product, or you can use it as one component in your larger radio-linked network. You should know that when you use a radio-linked network, all your components must use the same radio frequency. To help you, we offer several different radio options so your CRVW3 can communicate with your other Campbell Scientific products. Plus, I think you’ll find that using our Network Planner software will make your configuration simpler. As your measurement needs expand, you can network the CRVW3 with your other Campbell Scientific stations. Then you can measure a variety of parameters related to weather monitoring, power, lightning warning, slope stability, and flow. What’s the difference between the CRVW3 and the CRVW3-NE? I’m glad you asked. The CRVW3 is factory integrated with a power supply and a weatherproof enclosure. The CRVW3-NE has the same electronics as the CRVW3, but it doesn’t have an enclosure and battery. So, with the CRVW3-NE, you can select your own enclosure and battery. We released the CRVW3 about three years ago and followed it up with the CRVW3-NE about a year later. We’ve had positive feedback from our customers about these products, and we’d like more people to learn about them. We are confident in the capability of our vibrating-wire data loggers, and we look forward to helping customers incorporate them into their monitoring solutions. Do you want to learn more about the self-contained CRVW3? Visit the CRVW3 web page. If you’d like the option to select your own enclosure and battery, visit the CRVW3-NE web page. Note: The VSPECT technology is protected under U.S. Patent No. 7,779,690. To ask Josh a question about the CRVW3 or CRVW3-NE, post a comment below.